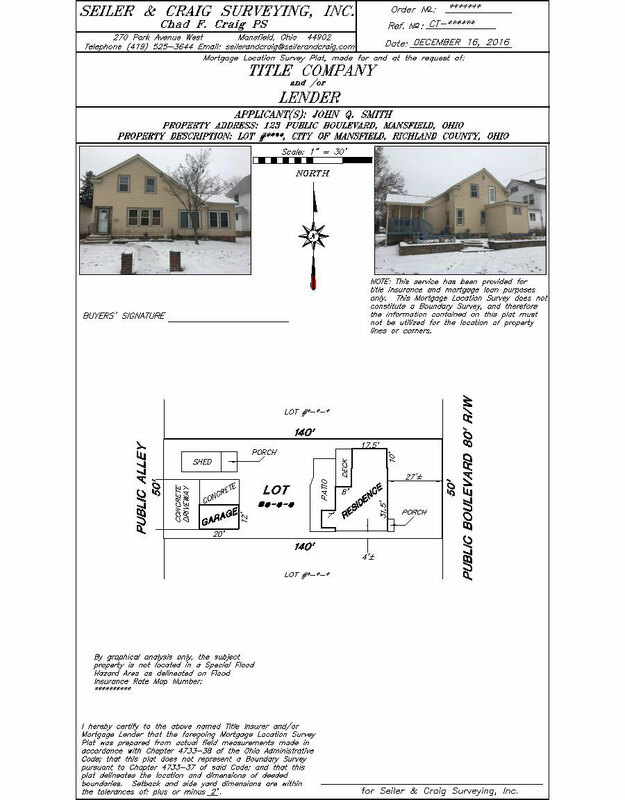 MORTGAGE LOCATION SURVEYS - Seiler and Craig Surveying, Inc.
A Mortgage Location Survey is usually required and ordered by a title insurance company or a mortgage lender. Some of the items to be shown on a plat of this type of survey are the configuration of the subject property and the location and sizes of the structures on the property relative to the property lines. As with boundary surveys, the State of Ohio also has specific requirements that are to be met in a Mortgage Location Survey. 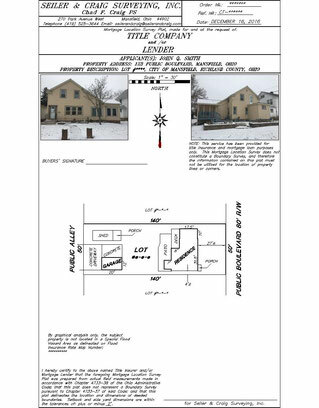 However, mortgage location surveys are not to be used to determine property lines or corners.